The roll out of our Omni BEMS Controllers continues to all areas of Industry and Government, locally and worldwide. 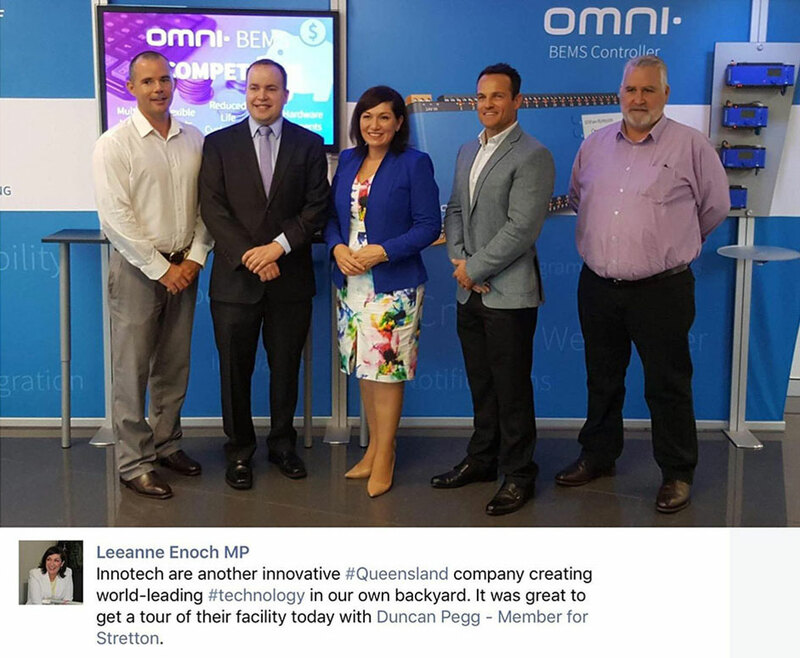 Innotech Headquarters were proud to host Duncan Pegg, the Member for Stretton and Leeanne Enoch, Queensland Minister for Innovation, Science & the Digital Economy and Minister for Small Business on a tour of our facility in April. In early May 2017, Innotech Control Systems headquarters played host to 15 Queensland AIRAH members. The group comprised of mechanical services contractors, mechanical engineers, equipment manufacturers and end users. The group were shown the entire manufacturing process from product conception in our Research and Development Department to completion and final testing. Some of the group knew little of Innotech's story and were very impressed with the company’s commitment to keeping the entire manufacturing process in house. The quality control measures that are used in the new Omni BEMS controllers manufacturing process are world class. This ensured other members of the group that have a long association with the brand that whilst the company has grown rapidly from its grass roots beginnings to an industry leading HVAC control system manufacturer that the quality that they expect is still maintained. The tour concluded with a brief question and answer on Building Management Systems and graphical software.